Cripple Creek (pop. 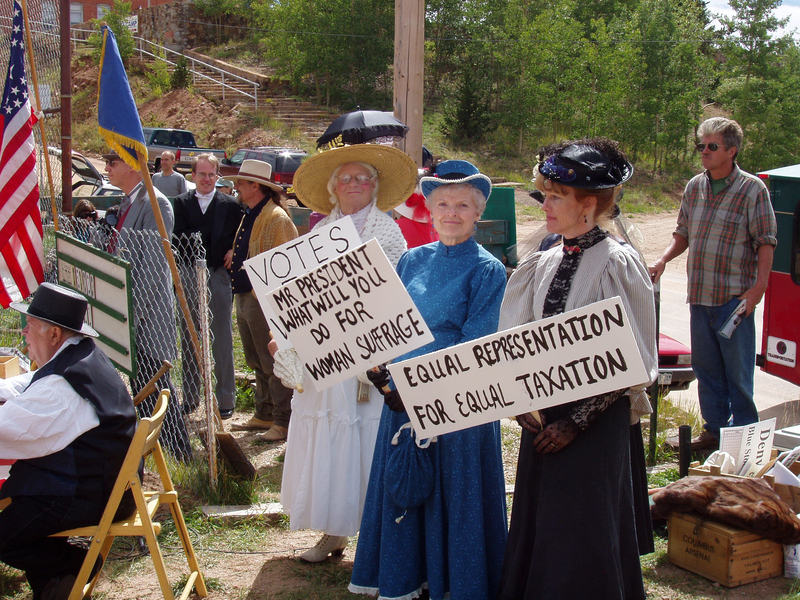 650) was the center of finance, politics, and entertainment for a major gold mining district on the southwest side of Pikes Peak in the late 19th and early 20th centuries. Rumors of “color” on the Womack Ranch were largely ignored until the rancher’s nephew, Bob, made the first major gold strike in the spring of 1891. Young Womack rode to Colorado City (now Colorado Springs) and went on a binge, celebrating his new wealth. He sold his claim for $500, never dreaming that more than $350 million in gold ultimately would come from it and the claims that followed. By late 1891 the “$300 million cow pasture” was crawling with prospectors. A townsite was platted and within 2 years housed a population of about 18,000. Town buildings were rebuilt with brick after a fire in 1896; most of the present-day structures date from this period. By 1900 Cripple Creek boasted two opera houses, seventy-five saloons, eight newspapers, and a stock exchange. Although the boom ended in 1904, the shafts that yielded $25 million in a single year were reactivated when gold mining once again became profitable in the 1930s during the Depression. Over 500 mines in the Cripple Creek Mining District produced 21 million ounces of gold, surpassing the production of the California and Alaska gold rushes combined. Designated a National Historic Landmark in 1963, at an elevation of 9,395’ Cripple Creek bills itself as “the World’s Greatest Gold Camp.” Today’s gold mining operations remove rock with traces of gold from the old mines. Limited stakes gaming approved in 1990 has revitalized Cripple Creek’s economy with casinos, shops, and restaurants, and the historic Butte Opera House offers a traditional summer melodrama, music, and films. An intensive survey in 1994 identified and evaluated over 300 historic commercial and residential structures and other resources. 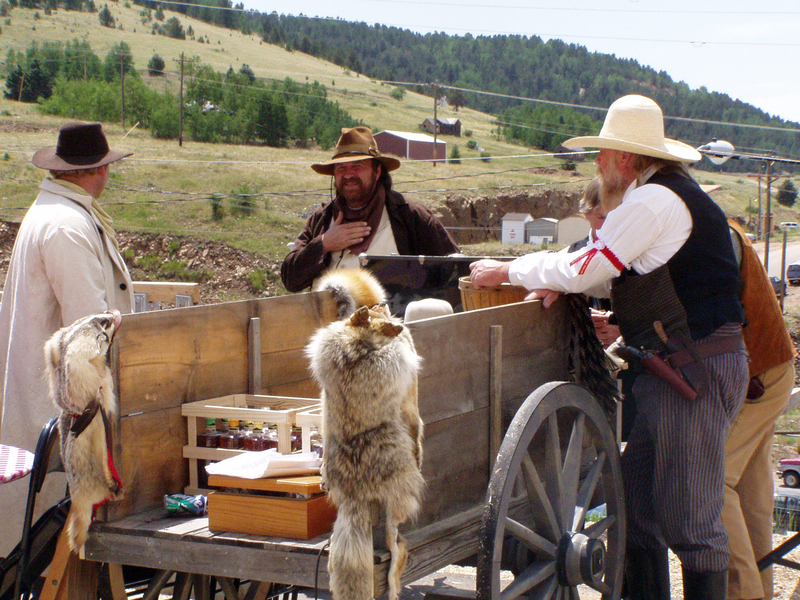 Visitors can tour the Cripple Creek District Museum, the Homestead House Museum (an 1890s brothel), the Mollie Kathleen Gold Mine, and the Cripple Creek & Victor Narrow Gauge Railroad. Scheduled to open in the summer of 2006 is the Pikes Peak Regional Heritage Center, a 9,000 square foot facility that will overlook Cripple Creek and provide educational exhibits and interpretation of the cultural and natural heritage of the Pikes Peak region and the Cripple Creek-Victor mining district.